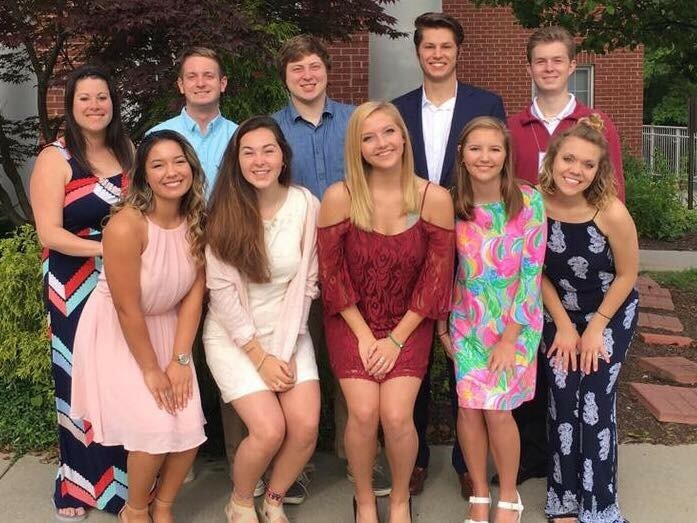 Landon Hackley (back row, second from the right) with other fraternity and sorority leaders at the NIC Conference held in Indianapolis in June of 2017. Landon Hackley ’16 is an active member and leader in Pike and in the University of Texas campus community. Landon is serving the chapter as Co-social Chairman in the new school year and is also active with Interfraternity Council at Texas (IFC) where he leads a campus/student safety committee. And he is involved in other ways on the UT campus all the while maintaining top grades in a combined business and premed program. Earlier this summer Landon was one of four UT fraternity men selected by UT IFC to attend a North-American Interfraternity Conference meeting at Indiana University. The summer meetings include sorority and fraternity members networking and sharing best practices to strengthen chapters at their respective home universities. Landon Hackley and his work team restoring a playground while in Indianapolis at the NIC Conference. 800 universities are eligible to send attendees to a series of these annual summer sessions which educate more than 750 men and women in total across a summer. In addition to the classroom work the attendees do, there is also a community service project. 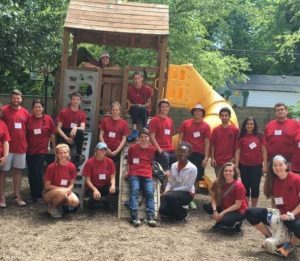 Landon’s team worked on upgrading the playground at a children’s shelter in Indianapolis.